The controversy surrounding the alleged ‘cloning’ of President Muhammadu Buhari is yet to abate, as the matter rared its head at the National Executive Committee meeting of the Peoples Democratic Party on Thursday. 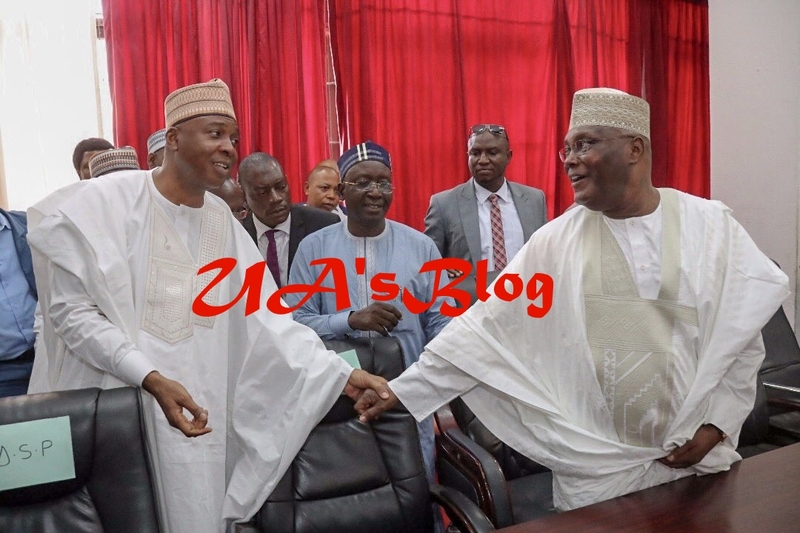 The drama started just as Presidential candidate of the Peoples Democratic Party, PDP, Atiku Abubakar was called upon to address party leaders gathered for the 81st NEC meeting of the opposition party. The social media has in recent months been treated to a rumour of the existence of a Jubril, supposedly of a Sudanese origin, in the corridors of power. However, the Presidency is yet to wade into the matter. Also, the PDP yesterday inaugurated it’s Presidential Campaign Council in Abuja with secondus as chairman while Atiku was named co-chairman.